It’s that outdoor music, camping, festival time of year, and one of the things my kids love when we have days out at the beach, one of the many heritage properties or whatever else we attend, is having their face painted. 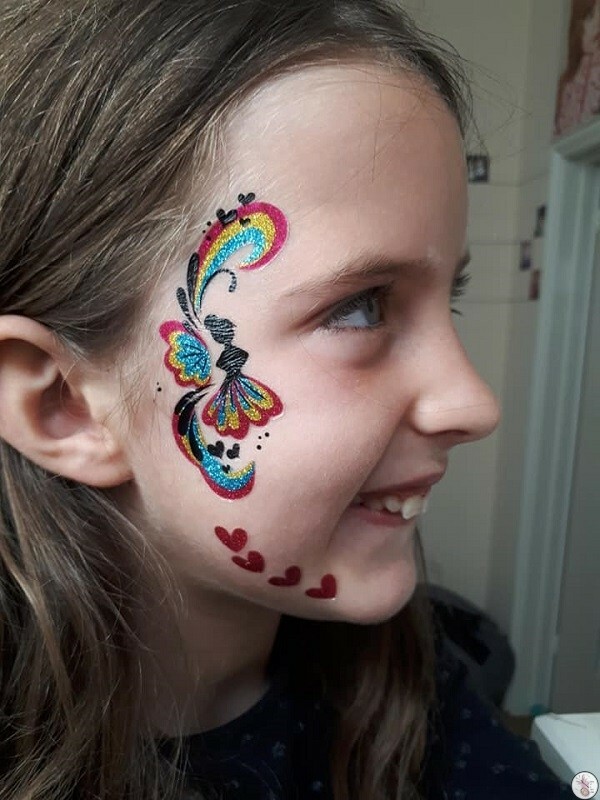 I don’t know about you, but when I have the option to not pay £10 or more for two kids to have some paint smeared on their faces, I take it, which is why I love the Festival Face Tattoos from InterPlay. What’s in the Festival Face Tattoos box? The box says that the set contains ‘over 12’ temporary tattoos, which is a bit of a weird way to describe it. 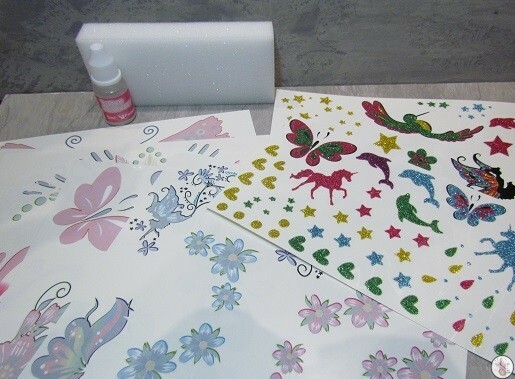 There are 5 sheets of colour tattoos and 2 sheets of glitter tattoos. I guess if you’re using all the matching tattoos in one go you’ll get 12 new looks out of it, but sometimes less is more, and I reckon you could get about 27 uses out of the colour tattoos and at least 10 out of the glitter tattoos. There’s also an applicator sponge, which is just a sponge. A cloth works just as well. There are child-safe scissors in the box. They do the job and are – as the name suggests, child safe – but I found them to be frustratingly blunt and just used my regular kitchen scissors. Finally, there’s a bottle of baby oil which you can use to remove the tattoos when needed. Ameli tried to remove a tattoo that way and felt she had to rub quite hard. I didn’t find it too tough though. 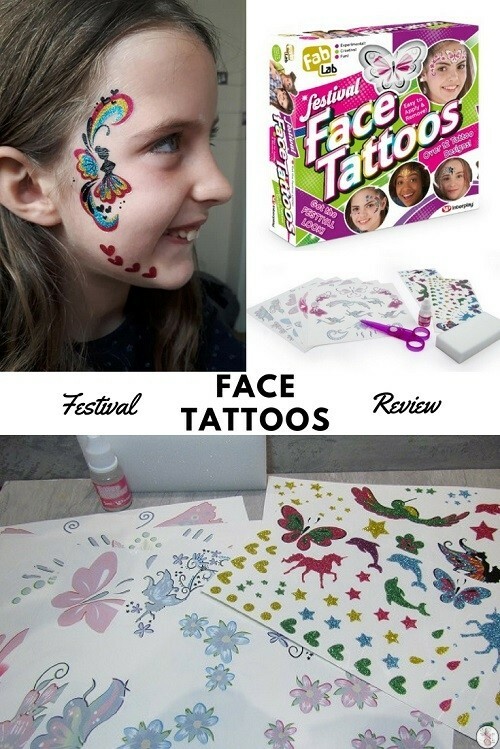 What’s great about the Festival Face Tattoos kit? The other types, the glitter ones, are a lot less durable. I put some on my wrist when we had a day festival near my home and they lasted for most of the day, but by the time I got home, there wasn’t much left. 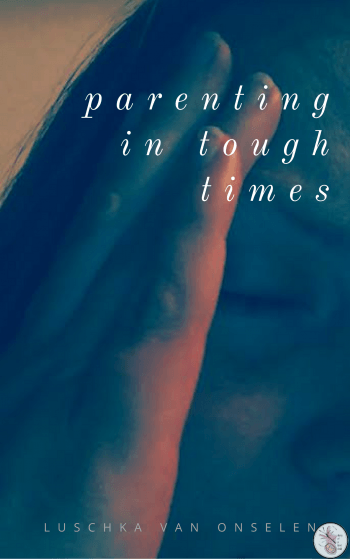 I did think this might be because I use my hands more than I use my face – or I touch things with my hands more than I touch things with my face – but Aviya loves the glitter tattoos and used them on her face too, and they also lasted around 24 hours. I actually see this as a positive, for example, if you don’t want to go to work or school with remnants of the weekend on your face! The colour tattoos seem to level with the skin, but the glitter tattoos are more of a plastic film that attaches to it, so things like sweat and natural oils will cause it to peel off. 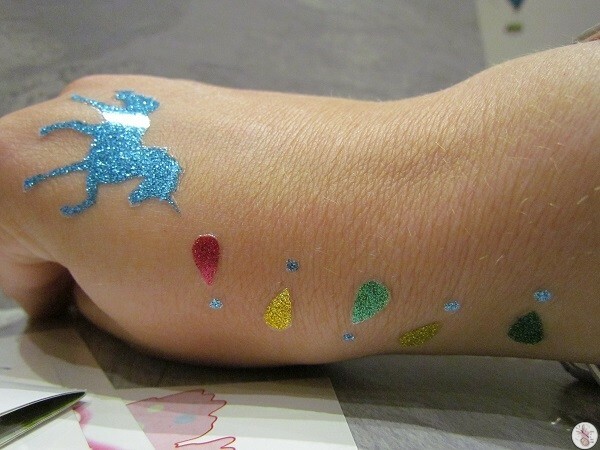 If you tried to peel the colour tattoos off you’d just get rubbed off bits, whereas it’s entirely possible to remove a whole image in the glitter tattoos.